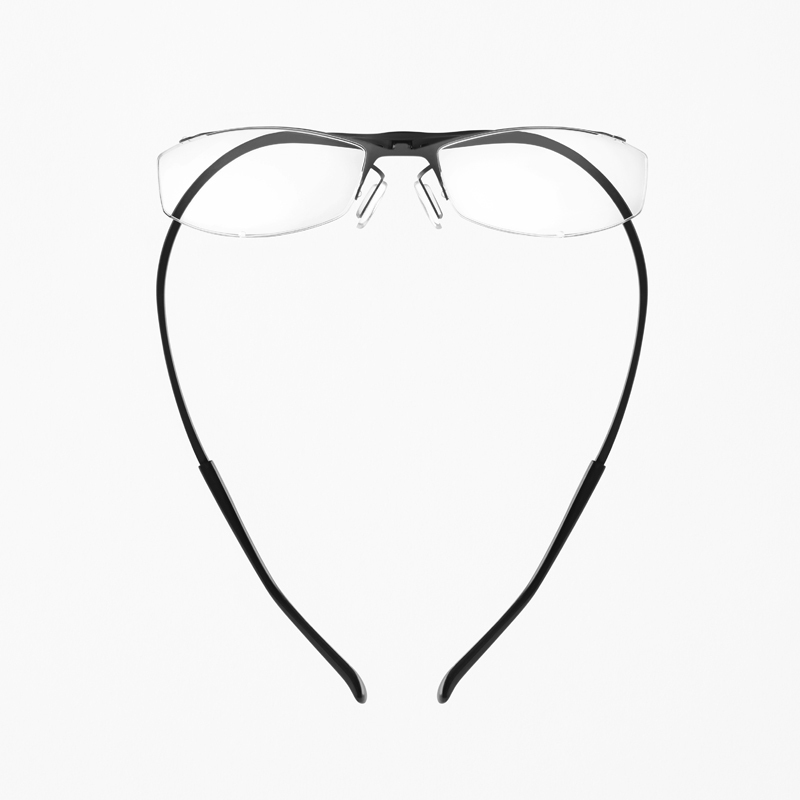 The “zerogra” eyewear collection designed by nendo in 2015, made by bending thin sheets of titanium without using such parts as hinges, offers excellent fit and lightness. Following this collection, the new “zerogra-tough” collection was developed using polyphenylsulfone, a high-performance resin known as PPSU, that is outstandingly flexible and impact resistant than the titanium alloy. However, compared with conventional titanium, thickness was an issue as it gave a heavy impression when worn. It was also bulky to stow away as it could not be folded. In addition, when being fitted, adjustments were less accurate. To solve these problems, solutions were analyzed from several different aspects. 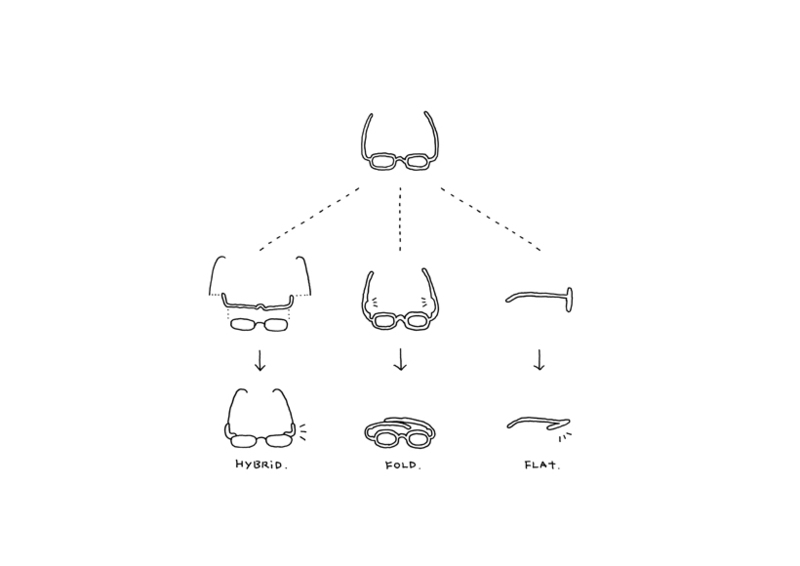 The “hybrid type” leverages the advantages of both titanium and resin. While adopting a conventional titanium frame, it uses resin between the front and the hinge, only on the parts where maximum load is applied. This makes it possible to offer the flexibility of resin while still maintaining the light impression of titanium with its characteristics of easy fitting adjustments. 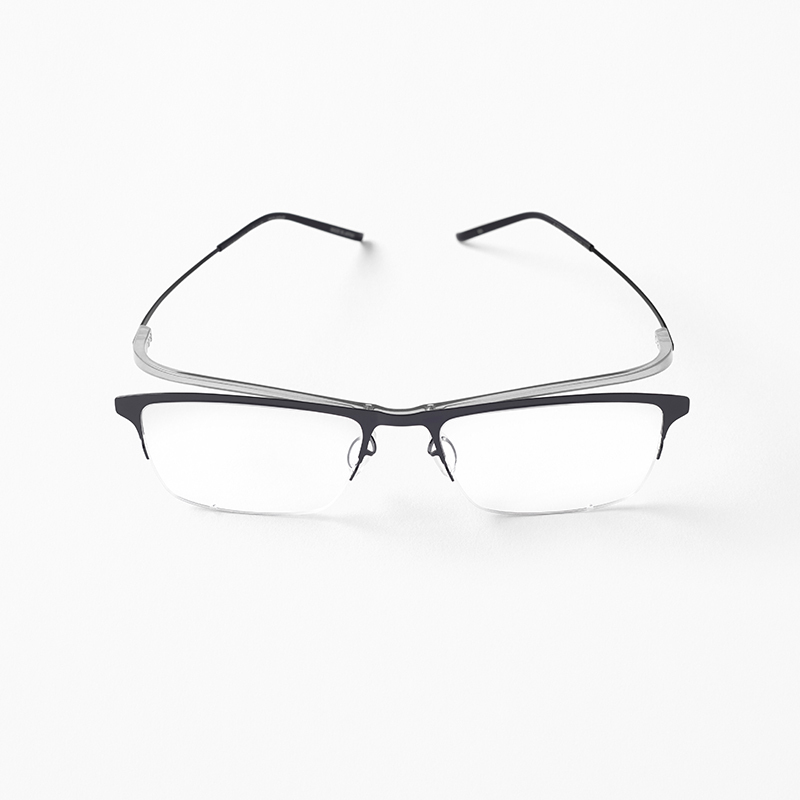 On the “folding type”, the frame has been made flexible by reducing the thickness of the resin temples, enabling compact storage in standard eyeglass cases. This gave a softer fit for the wearer as the resilience has been reduced. The temples on the “flat type” do not fold, but takes advantage of the flexibility of the resin frame, and the lens could be put down flat to be stored in a specially designed case which is 19 mm thick. 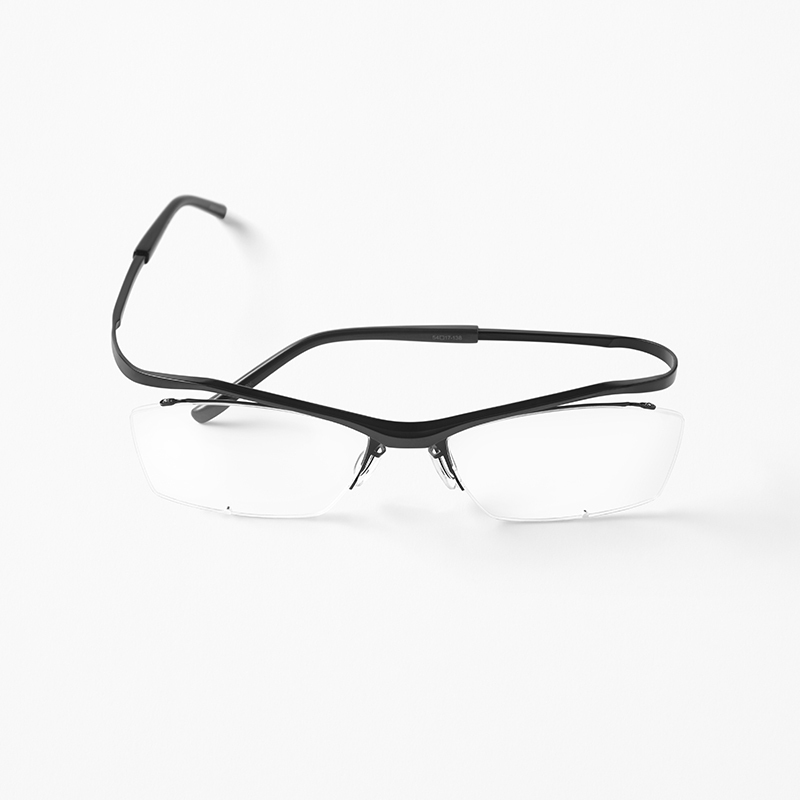 The elasticity of the frame has also been utilized to eject the glasses from the case and facilitate their removal. In addition, there are two types of cases to match different frames. Following the concept of “zerogra” that it is a single piece of bent material, the cases are designed to be a single flat sheet to avoid taking up space in a bag when it is not in use.